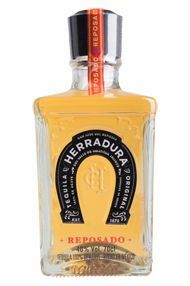 Taberna, the original tequila factory, was built in 1870 and was open for business up until 1963.The factory remains at Casa Herradura, as a reminder of the hard work and dedication involved into making this tequila. The Casa looks after 15 million agave plants. They are maintained until they reach full maturity, and are then harvested by Jimadors, who use a special blade like tool called a coa, to cut and prepare the plants. The large ovens at the casa heat the agave, producing a very sweet and rich flavour. They are then ready to be crushed to make the pre-fermented juice that will form the tequila. The tequila is then fermented in open air tanks, distilled and aged in toasted oak barrels. It is then bottled and labelled, and after approval, shipped across the world.